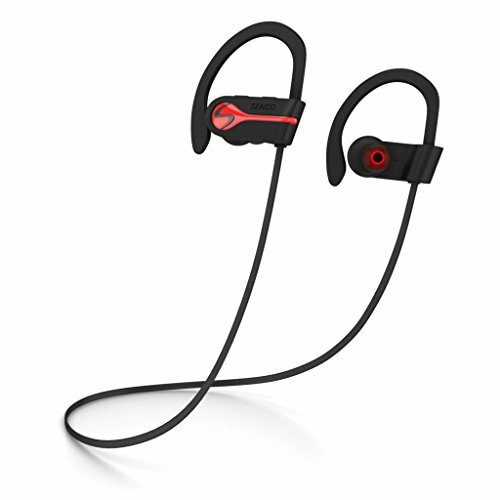 WHY THE SENSO ACTIVBUDS S-255 IS THE BETTER CHOICE IN BLUETOOTH HEADPHONES? - TRUE HIGH DEFINITION SOUND Enjoy Stereo Sound with High Definition & unparalleled rock-solid bass with ultra crisp treble. - LONGER BATTERY LIFE – Better battery efficiency with up to 8 HOURS of play. - COMPATIBLE WITH ALL BLUETOOTH ENABLED DEVICES Connect with two smart phones at once. UPGRADED TRUE HD HIGH FIDELITY SOUND Featuring latest Bluetooth 4.1 CSR technology and state of the art acoustic components that produce incredible sound quality with deep bass and crystal clear treble. If you have any questions about this product by Senso, contact us by completing and submitting the form below. If you are looking for a specif part number, please include it with your message. Samsung Galaxy S9 / Galaxy S8 / Note 8 / S8 Plus / LG G6 Fast Charger Type-C 2.0 Cable Kit by Ixir - ( 2 Wall Charger + 2 Type-C Cables ) Adaptive Fast Charging up to 50% faster charging!